Disney has promised new Star Wars and Marvel movies every year for eternity. And when it comes to the MCU, we're going to start getting three different big screen adventures every 12 months. Right now, though Marvel Phase 4 has not been announced, it sounds like there is no end in sight. But is there? Or will fans get Phase 5, 6, 7, 8, 9 and 10 leading into the next century? The later sounds more on the money, as Marvel boss Kevin Feige reveals that this movie universe is guided by the comics, which debuted in 1939 and have never been out of print. Right now, Kevin Feige confirms that there is no end in sight for the Marvel Cinematic Universe. Today's kids will be able to tell their grandkids how they were around when the madness began. That said, it sounds like Marvel Phase 4 is going to be vastly different from what we've seen, and will continue to see, in the first three phases, as Marvel Phase Three kicks off next month with the big screen debut of Captain America: Civil War. Says Kevin Feige about the always transforming MCU. "I think you look at comics as a guide. I think there will be a finality to moments of Phase Three, as well as new beginnings that will mark a different, a very different, a distinctively different chapter in what will someday be a complete first saga made up of three phases." 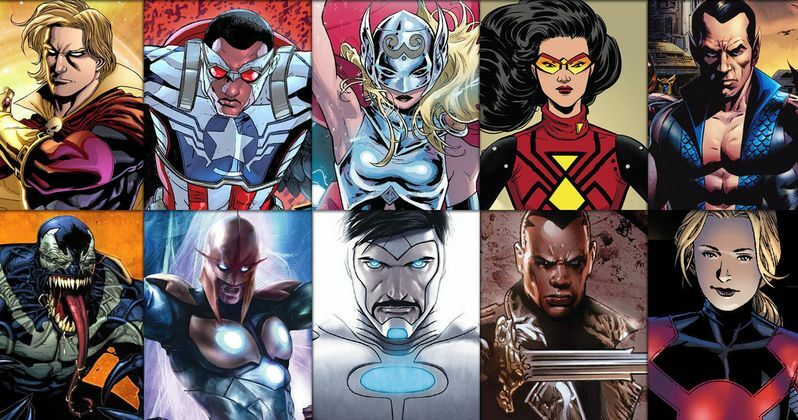 In the world of Marvel comic books, characters and their various comic titles get rebooted and relaunched. But the narrative is always propelling forward, and it is a never-ending continuum that has and will flourish on the big screen as well. Captain America: Civil War arrives as the 13th movie in the series, and that number certainly isn't bad luck. The movie is poised to be the biggest blockbuster of the summer. One that many don't believe even Rogue One: A Star Wars Story can beat at the box office. At this point in the game, a big universe-altering twist is definitely needed. And there will be a few seismic quakes coming next month, and in the next few years ahead. Civil War is already different in that it is pitting hero against hero instead of having the Avengers fight another bad guy. Says Joe Russo about the never-ending MCU and what's ahead for Captain America, Iron Man and his friends. "Things always get deconstructed, right? You build things up and people enjoy the experiences you've built up. But then you kind of reach an apex or you reach a climax, a moment where you go, 'This structure is really going to start to be repetitious if we do this again, so what do we do now?' So now, you deconstruct it. We're in the deconstruction phase with Civil War and leading into Infinity War, which are the culmination films." Following Civil War, the next three movies will revolve around characters that are not involved in that internal superhero conflict. And that's intentional. We're getting the new Marvel hero Doctor Strange this November. That will be followed by Guardians of the Galaxy Vol. 2 in the summer of 2017. And then Thor: Ragnarok will bring up the rear at the end of next year. Speaking with EW, Kevin Feige says this about how the movies are positioned heading into the future. "That's somewhat intentional to go and explore the other aspects [of the universe]." At this time, no movies have been officially announced for Marvel Phase 4. Though, last week, Feige did confirm that Guardians of the Galaxy Vol. 3 is part of this impending line-up. He's also teased a solo Black Widow movie. And it's possible that Inhumans, which is scheduled to be a Phase 3 movie, will get bumped into Marvel Phase 4. Heck, we might even see Howard the Duck get a reboot, but that's highly doubtful at this time. Though the next Phase will be 'distinctly different', it will still be an interlocking puzzle of stories that all connect and create one massive tapestry. And what is coming promises to be as powerful, if not more so, than what we've already seen play out.